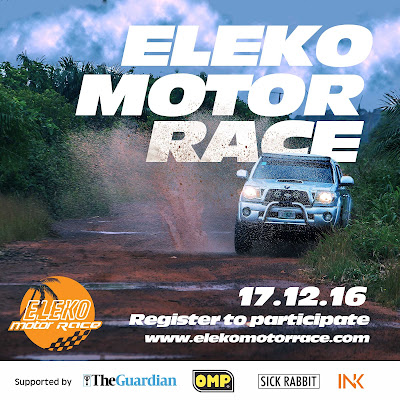 The Eleko motor race (EMR), is a high energy off-road motorsports event in Lagos providing safe fun in the scenic beach environment of Eleko. The Eleko Motor Race has held 6 times since 2014, twice a year. The 7th edition of the race holding 17th December 2016 at Eleko Beach returns with a more exhilarating racing event covering 26 kilometres of hand selected back-roads along the coastline, 6 special stages of off-road rallying plus Okada coastal championship race for indigenes of the community, VIP party, amazing people, tons of swag, and many more surprises. 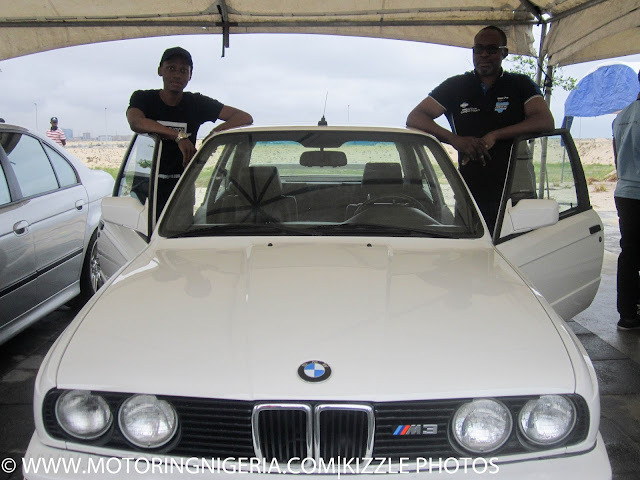 Since 2014, EMR has been steadily re-energising the Nigerian Motorsport Culture. The Eleko Motor Race is internationally known to the Federation Internationale de l’Automobile (FIA), the governing body of motorsport that aims to safeguard the rights and promote the interests of motorists and motor sport. EMR’s primary aim is to use the motorsport platform to enhance knowledge of automobile science and engineering and educate the general public as to the automotive potential of everyday off-road cars and SUVs. 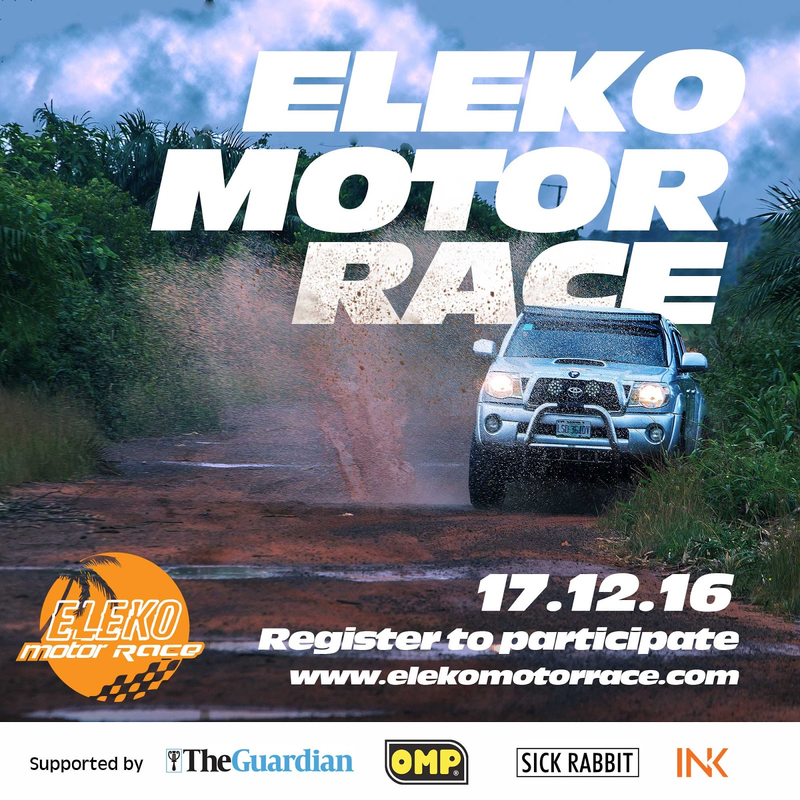 To participate, teams (Comprising of a driver and Navigator and a 4x4 or AWD vehicle) can register by Visiting www.elekomotorace.com. EMR has featured partner brands like Coscharis Motors, Studio 53 Extra, OMP Racing, Motoring Nigeria, SuperSports. Motoring Nigeria on Saturday December 2016 released the second issue of its car magazine Carvolution. This comes after the first edition launched earlier in the year which had 9000 downloads. 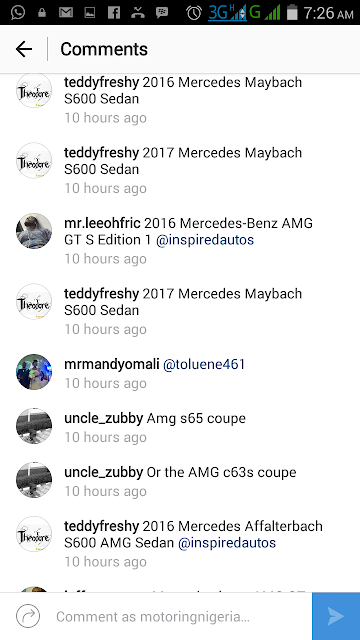 According to the Public Relations Officer of Motoring Nigeria Napoleon Chukwuoma, this issue is an improvement on the first issue as it contains richer content targeted at bringing to light the important issues in the Nigerian car and motorsport industry through engaging articles crafted by some of the best automotive writers in the country. He said “ Carvolution Magazine for some may be defined as the start of something new, a trend that’s just taking off in the federation, a ship that’s just about to sail, a story that’s just begun or a promise of what’s to come. Click HERE to download to your iPhone. 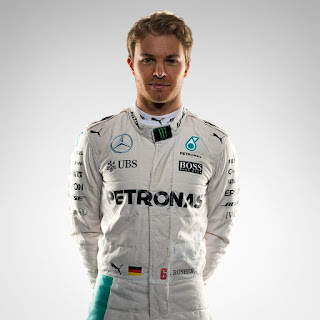 Nico Erik Rosberg, Mercedes F1 driver, shocked the world at the 2016 Abu Dhabi Grand Prix after he won his first world title on Sunday - beating Mercedes teammate Lewis Hamilton by five points after finishing second behind the Briton at last weekend. The 31 – year – old German driver took to his Facebook page to announce his retirement from Motorsports. Rosberg reveals that he made the decision to retire last Monday evening after the Grand Prix, hours after claiming his world championship title. Nico Rosberg is the fourth driver in history to win the Monaco Grand Prix three time in a row and also the fourth driver to Win 7 Grand Prix in a row. With 23 Grand Prix victories, 30 pole positions and 57 podiums from a career spanning 11 seasons and 206 races! This is what you would call a glorious exit, one that won’t be forgotten in a very long time. Mercedes took the news pretty well considering that in July 2016, Rosberg signed a new contract to stay with the Mercedes team until the end of 2018. Mercedes has expressed their gratitude to the world champion. "This is a brave decision by Nico and testament to the strength of his character,” said Toto Wolff, Head of Mercedes-Benz Motorsport. "It's impossible to capture the essence of a person in a few short words, but Nico has a special combination of natural talent and fighting spirit that have brought him to where he is today,” added Wolff. “Throughout his career, people have thought he was on a golden path to success just because his father was a world champion; in fact, I think in some ways that made the challenge greater - and meant he had to fight even harder with the weight of expectation on his shoulders. "With Mercedes, Nico has been a relentless competitor, bouncing back from tough times in an inspirational way, and he earned the respect of the sport with his tenacity, his fighting spirit and his grace under pressure. "For the team, this is an unexpected situation but also an exciting one. We are going into a new era of technical regulations and there is a free Mercedes cockpit for the seasons ahead. We will take the necessary time to evaluate our options and then find the right path for our future." 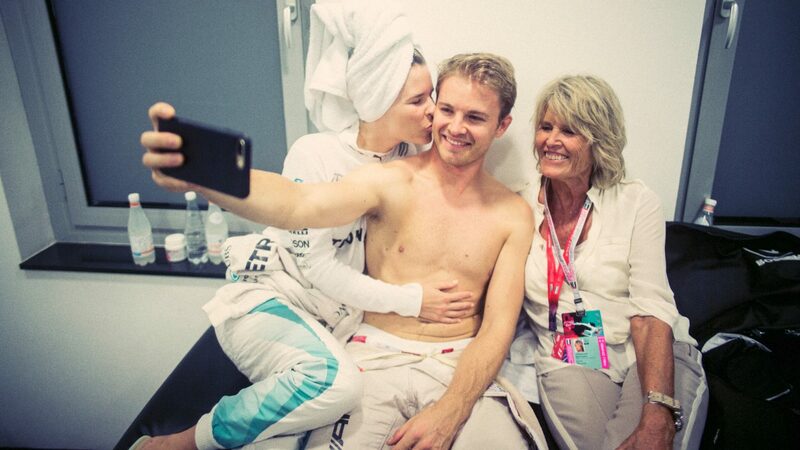 Who could replace Nico Rosberg??? What are your thoughts? Share with us in the comment section below. All is set for the December 2016 Edition of Carvolution Magazine. The December issue of carvolution magazine is scheduled for release tomorrow, 3rd December 2016 by 6:00pm. This edition promises to be an interesting read, brimming with beautiful graphics design, relevant content and in depth analyses of cars, bikes, Nigerian car culture and the motorsport industry. In our first issue, we promised to distance Carvolution from mediocrity and try our best to make it the most interesting car magazine in the country catering to the very needs of car lovers in the country. The newest issue of carvolution Magazine will be available for download tomorrow and it’ll be a completely free PDF format so make sure you share with your friends and colleagues. We can notify you per email about the newest issue, just subscribe to our productive newsletter mailing list and we’ll email you when it’s available. The sleepy town of Urhonigbe, Edo state was shaken to its roots last Saturday 26th November 2016 as Racers, bikers, drivers and spectators from all over Nigeria gathered for the premier annual motorsport event in the whole of West Africa tagged The Nigeria Superbike Road Race - The Bikers Trophy (The BT) and Motoring Nigeria was present to cover every bit of the fully blown Festival of Speed which was a complete success. The event started on Thursday 24th November 2016 with the arrival and accreditation in of participating racers at Randekhi Royal Hotel Benin City. On Friday 25th November 2016, the racers headed to the race venue at Urhonigbe Edo State for practice laps to make sure the racers get accustomed to the beautiful curves the smooth asphalt had to offer. The practice laps was an addition to The BT race weekend schedule this year reduce the possibility of crashes on race day by giving racers an opportunity to simulate race day. After this, they proceeded to Evbuobanosa, a village along the Benin-Asaba expressway, where the RoadX Car Racing Circuit is currently under construction. With level of work on the track already at about 70%, some of the visitors to the Race Track could not resist running some laps to get their early dose of adrenaline. Friday 26th November 2016 also witnessed the arrival of motorsport enthusiasts from all over the world whose sole aim was to come and experience the event. Saturday 26th November 2016 was Race Day! The day started with a Safety meeting to remind participants and spectators alike of what is expected of every one in order to achieve a safe race day. Ride or Drive to Urhonigbe was swift and everyone got settled in to watch what promised to be a demonstration of Nigeria’s motorsport at its finest. No one was disappointed! The races started with the Car Race Category, a new addition also to The BT race schedule and lining up were the 2016 BMW X6M, a 2013 race tuned Camaro SS and a Race Buggy built and locally assembled by Rage Motorsport. The Car Race Category was followed by the 600cc Supersport Category. After the 600cc Supersport category was the much-anticipated BT Championship Category of the 1000cc Superbike Category. It was truly a Festival of Speed! The men and woman that participated in The BT 2016 know no fear! With dazzling colors of leathers and metals shining in the blazing heat of Urhonigbe, these sub humans mounted their metaliic horses and wowed the spectators that had lined the 33km road course from Urhonigbe – Ugbokirima with a display of skill and balance on 2 wheeled machines sometimes achieving speeds of over 297km/hr! Are these guys human! When the racing was over, winners emerged in the car racing category, the 600cc (capacity) category and the 1000cc (capacity) category. The car racing category was won by BMW X6 M driven by Harold Nwariaku of BMW Club Nigeria taking the pole position, completing the race in 8minutes 53seconds, Argo Raak from Barbedos cars clinched the 2nd position going through the track in 10minutes 31sconds with his race tuned Chevrolet Camaro SS V8 and Muyiwa Akintola from Rage Motorsports took the third position with his 800+ horsepower race buggy in a time of 12minutes 27seconds. Sama Ibukunoluwa, clinched the 1st position in the BT Championship 1000cc category this year covering 33km in a time of 9minutes 12seconds on a Kawasaki ZX10RR. He was followed by Tayo Taiwo on a Yamaha r1 who covered 33km in 9minutes 36seconds and the 3rd position went to Argo Raak who covered the 33km course in 9minutes 37seconds aboard a 2014 Aprilia Tuono. Alpacino Ahmed. won the 600cc category, completing the 33kmroad course aboard his Kawasaki ZX6 in a time of 9minutes 33seconds, the 2nd position went to Archibong Robert aboard a Yamaha r6 who achieved a time of 11minutes, 41seconds and 3rd position went to Shuaib Bukar aboard a Yamaha r6 who covered the 33km distance in 12minutes, 04seconds. The 2 time Double Champion, Jack Affara had a launch malfunction at the start line and restarted to set a time of 9minutes, 11seconds but the organizers declared the restart illegal and corrected the official lap time back to his original pre programmed start time effectively ruling him out of the podium with a time of 11minutes, 11seconds. Podium ceremonies over, we again hit the highway back to Benin City with the The BT Award Nite/Ultimate Bike Girl Contest/ After Race Party as the next activities lined up for what was turning out to be a very exciting adrenaiine fueled weekend. The event was covered by Supersport Nigeria and no doubt they were as impressed as we were by the quality of the racing and how well organized it was. We were highly inspired by the seemingly endless motorsport passion of the racers, bikers, drivers and every other person present at the event as most racers came with brand new bikes and vehicles specially purchased and customized for the purpose of The BT, travelling far distances after months of preparation and logistics. Finally, we appreciate the organizers of this event for improving the motorsport standards in the country and aiming towards landing Nigeria on the international motorsport scene. It was an action packed event, well organized and thankfully, no crashes were recorded this year. We came, we saw and we conquered. Next year’s race will be on the 25th November 2015, if you pump RED Like me, Do not miss it! FOR THE LOVE OF MOTORSPORT! Click on this link bit.ly/carvolution1612 to download the latest edition of Carvolution Magazine and be thrilled beyond imaginations. Local children "taking part" in the event. Offroad Buggy- Barbedos Cars took things pretty seriously this year. 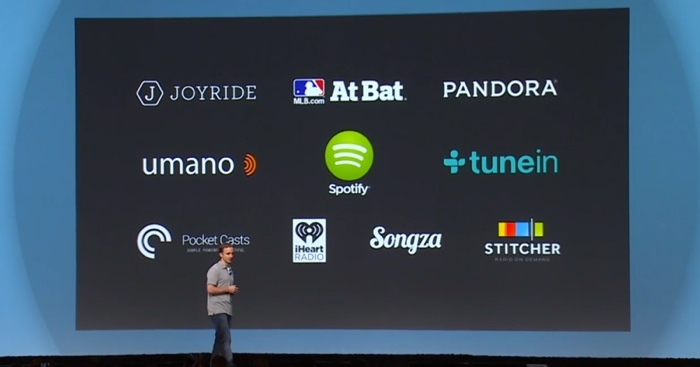 Google Introduces New App “Android Auto” To Every Car. American multinational technology company, Google, introduces the Android Auto App off the car infotainment system which is a standalone app that runs straight from your smartphone. No factory fitted car display screen needed. 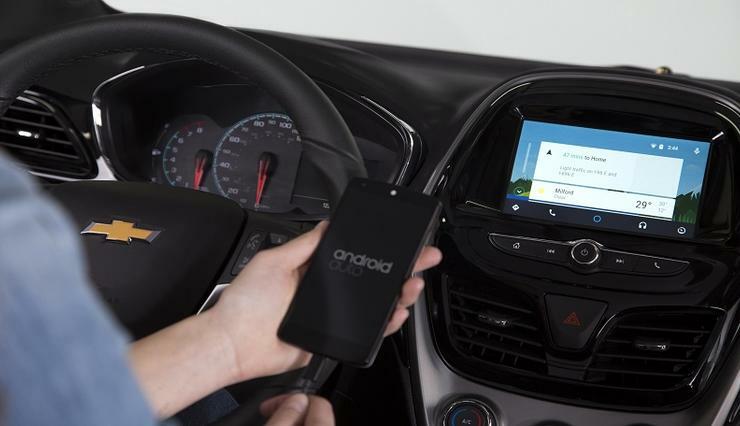 Android Auto is Google’s alternative to the Apple CarPlay, it’s a smartphone projection standard that is compatible with smartphones running on Android OS version 5.0 Lollipop or higher. The app activates when connected in automobiles through the dashboard’s head unit. The application which is operated by touchscreen, button-control and voice commands offers a number of controls like GPS mapping/navigation, music, playback, sms, telephony and web search. 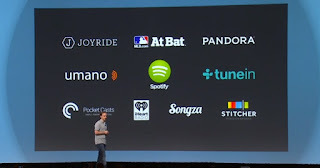 Android Auto is compatible with Google Maps with real-time traffic, Google Play Music, MLB at Bat, Spotify, Songza, Stitcher, iHeart Radio, Tuneln, and other third party apps. The Android Auto App has been launched and is compatible with the following vehicles; Acura, Audi, Buick, Cadillac, Chevrolet, Ford, Genesis, GMC, Holden, Honda, Hyundai, Kenwood, Kia, Lincoln, Maserati, Mercedes-Benz, Mitsubishi, Opel, Panasonic, Pioneer, Seat, Skoda, Vauxhall, and Volkswagen. More compatible models are coming soon. What are your thoughts? Please share with us in the comment section below. Research Shows Breathing Problems in Newborn Babies Due to Use of Child Car Seats. It’s a norm for nursing mothers to put the safety of their child before any other thing henceforth, the use of child seats but unknowingly you might be putting your child in a greater danger. 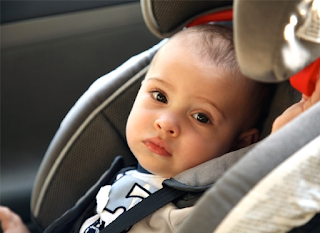 A new study shows that newborn babies can develop breathing problems when travelling in child seats for long. The study which was carried out by the Great Western Hospitals NHS Foundation Trust, the University of Bristol and the University of Southampton, studied 40 newborns of which 21 are premature infants and 19 are full term babies. The procedure used in the study involved a simulator which is designed to reproduce road vibrations through a child seat travelling at 30mph. During the experiment, the babies heart rates, carbon dioxide levels and blood oxygen levels breathing in and out were monitored while spending 30mins each in three different positions. The outcome of the study showed that babies who are seated in an upright position in the child seat have increase in heart and breathing rates, it also showed that the Childs’ blood oxygen level is lower compared to when the child is lying flat in a cot. Babies seated at an angle of 40-degree were found to have a significant increase in their heart, breathing rates and blood oxygen levels were lower compared to those seated at an angle of 30-degrees. It has been confirmed that this difficulty in breathing is as a result of babies’ neck muscles not being fully developed as being seated in an upright position makes it harder for the child to support his/her head and this leads to difficulty in breathing. Should parents stop using child seat??? Share your thoughts with us in the comment section below. BMW 6 Series spied or is it the 8 Series? 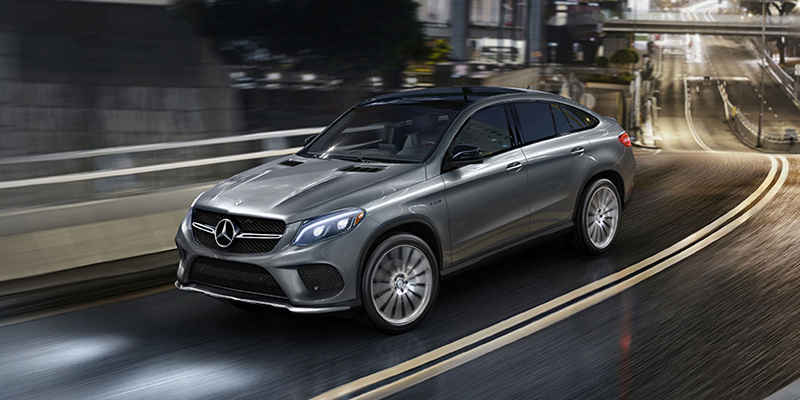 It's no secret that a new coupe is heading our way. 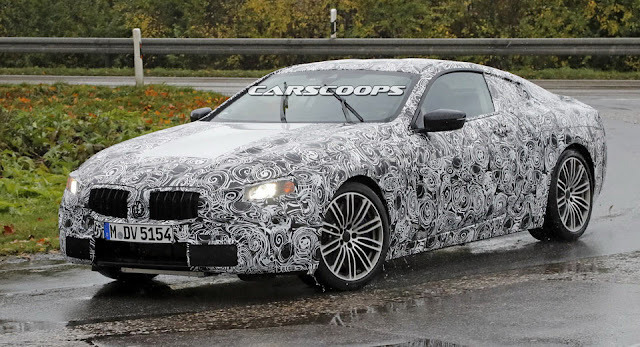 The question is whether the test mule snapped here is actually the new 6-Series Coupe, as the source who provided the images claims, or the reborn 8-Series that almost all other reports claim the new model will be named. If it's the 6-Series replacement, then it follows that the 911 fighter is, once again, off the cards, for this is clearly a GT. Wider and lower and with a more slopping roofline than the current 6 Coupe, but most definitely still a grand tourer. If, on the other hand, it is in fact the all-new 8-Series, which will go head to head with the Merc S-Class Coupe, then that leaves a gap in the line-up for a smaller, sportier coupe that would, logically, be labelled the 6-Series. Factor in theupcoming Z5 that's been co-developed with Toyota and will spawn the new Supra as well, and the waters get even murkier. Anyhow, if we had to guess, then we'd say that a.) this is more likely than not the 8-Series and, b.) the 6-Series moniker won't go away; not with a Grand Coupe also in the range. We'll just have to wait and see what the powers-that-be in BMW have in store for us now, won't we? The Federal Road Safety Commission (FRSC), said on Tuesday that 96,458 vehicles had been checked nationwide since Oct. 1 to ensure compliance with the implementation of speed limiting device. Mr Bisi Kazeem, Head, Media Relations and Strategy, FRSC, made the disclosure in an interview with newsmen in Abuja. He said that Cross River, Akwa Ibom and Enugu states topped the compliance list of implementation of the speed limiting device after one month of its commencement and partial enforcement. Kazeem said that 4,979 vehicles installed the device while 91,479 vehicles were yet to comply bringing the compliance level with five per cent. He said that Cross Rivers was leading on the compliance list with 738 vehicles, Akwa Ibom second with 650, Enugu 403, Ebonyi 474 and Lagos 256. He said that the commission was yet to record any vehicle with the device in Adamawa, Taraba,Niger, Kebbi and Yobe states . “However, the states may not be responsible for the non-compliance level because the check cuts across states, so you can be moving from Lagos to Cross River and get checked at Cross River so it would be recorded there. “The compliance level is increasing but there is room for improvement to guarantee safety; just like the Corps Marshall Boboye Oyeyemi has always advised Nigerians to imbibe the culture of safety. “People need to embrace this scheme on their own without being forced because very soon come Feb. 2017 there will be no more subtle or advisory enforcement it would be total enforcement and strict implementation. “The commission gave a period of grace to allow commercial vehicles some time to comply with the scheme but looking at how most Nigerians normally behave it seems they are waiting for the rush hour. Earlier, the Corps Marshal, Boboye Oyeyemi thanked the stakeholders and the various transport unions for supporting the FRSC on this project to curb road crashes. Oyeyemi reiterated the corps’ plan to continue the implementation and enforcement of the device with commercial vehicles in the phase one. It may not be the first Hellcat-powered Rampickup, but the Hellfire Concept Truck created by Dallas Speed Shop and debuting at SEMA 2016 is certainly among the finest Ram builds we've seen. Obviously, the most significant upgrade to the car has been the installation of the 6.2-liter supercharged V8 engine used by the Challenger and Charger Hellcat twins. Even though the engine typically delivers 707 hp, Dallas Speed Shop didn't think that was enough and bumped it up to 775 hp thanks to custom tuning and Kooks Long tube headers. The car will be revealed in full on November 1 live at SEMA. Toyo Tires is preparing a monster display for next week's SEMA 2016 and will show off some incredible creations both inside and outside the Las Vegas Convention Center. According to Carscoops, Toyo Tires will be displaying Ken Block's brand new Hoonicorn V2 Ford Mustang, now pumping out 1,400 hp thanks to two massive turbochargers and methanol injection. Block's car will be showcased as it is fitted with sticky Toyo R888R tires, an evolution of the potent R888 and set to premiere at SEMA. Additionally, Block himself will also be there signing autographs. At Toyo's main display, three impressive cars will take center stage. The first is a Tesla Model X P90D Ludicrous customized by Unplugged Performance, making its debut at the event. 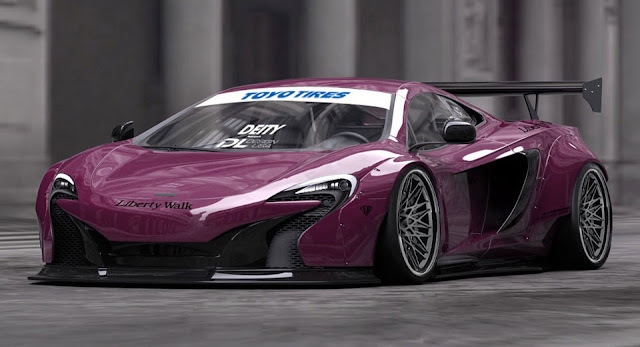 Additionally, there will be a widebody Liberty Walk McLaren 650S built by Diety Motorsports and installed with a special wrap, exhaust, air suspension and Rotiform wheels. The third and final car at Toyo's main display will be a 997-generation Porsche 911 Carrera 2 S from IDL Design. Elsewhere, the tire brand will set up its 'Treadpass', an immersive area with almost 30 custom cars and trucks. Among them will be a Toyota Supra-powered Datsun 260Z, a Nissan GT-R from Bulletproof Automotive and Fury Automotive as well as a modified 1990 BMW 325i. Motoring Nigeria on Sunday 16th October launched the Face of Carvolution Contest in preparation for the release of the second issue of Carvolution Magazine on 16th November. 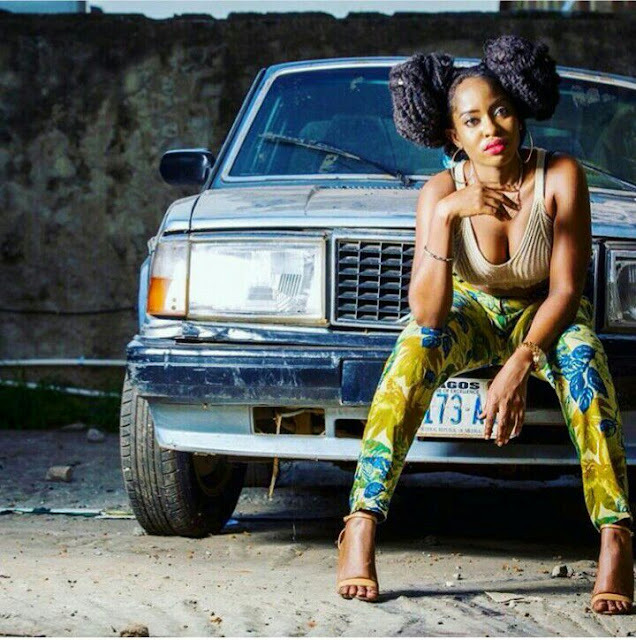 It is a female centered contest aimed at promoting car culture interests amongst Nigerian ladies in a bid to bring them into the fold after discovering through a survey that 78% of readers are men, the remaining 22% being female. A make up brush set worth N15,000. 1a. Take a picture with a car you like (could be an old car, a classic, an everyday car, a supercar, or a pickup truck… the Hilux wouldn’t be bad at all) The term beast is relative. 1b). Follow and tag @Carvolutionmagazine on Instagram using the official hashtags #BeautyAndHerBeast #CarvolutionMagazine. Tell a lady you know now! Send your picture via whatsapp to 08163943494. Visit @carvolutionmagazine or @motoringnigeria on Instagram for more. Please note that the word beast is a relative term, take a look at the lady in the picture, she’s not with the latest luxury car. That is your grandpa’s Volvo 240 and it’s a beast to her. Old, new, normal, abnormal, luxury cars, and supercars are welcome. Provided you like it, take a picture with it and send to us. Lets get rolling! Spread the word to the mountains. The Face of Carvolution Magazine contest is promoted by Motoring Nigeria. The contest is open to females of any age. Motoring Nigeria reserves the right to use the user generated content for the purpose of this contest and uses outside this contest. 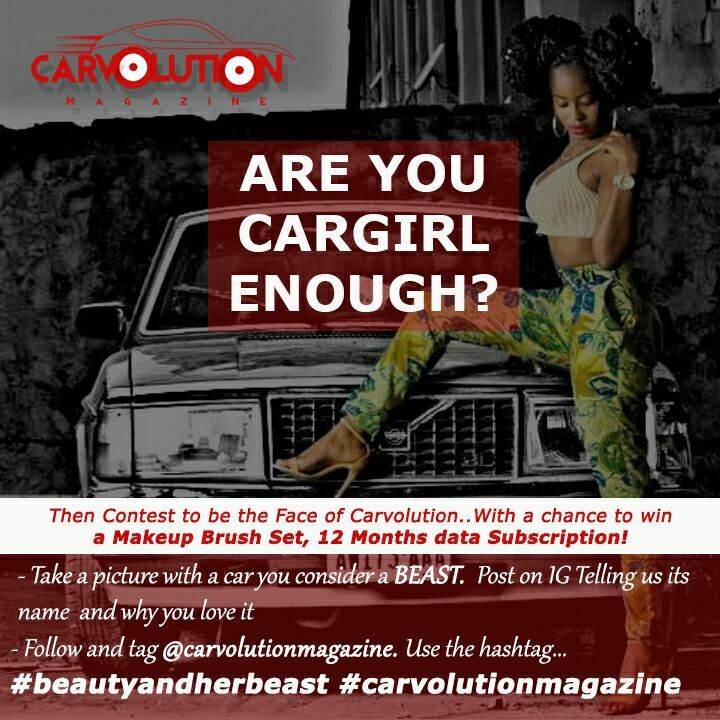 We hereby acknowledge that The Face of Carvolution Contest is not sponsored, endorsed, administered or associated with Instagram or any social media platform used throughout the contest. Car dealer promises N100,000 for any follower who wins in Instagram car quiz giveaway. A car dealer on Instagram Inspiredautos yesterday evening, posted a picture of what seems to be the interior of a Mercedes AMG GT S and promised to give away N100,000 to anybody who guesses the correct year, make and model of the car. So far, N1890 people have commented in an attempt to win the awoof N100,000 and by his replies to some of the comments, no one has been able to provide the correct answer. 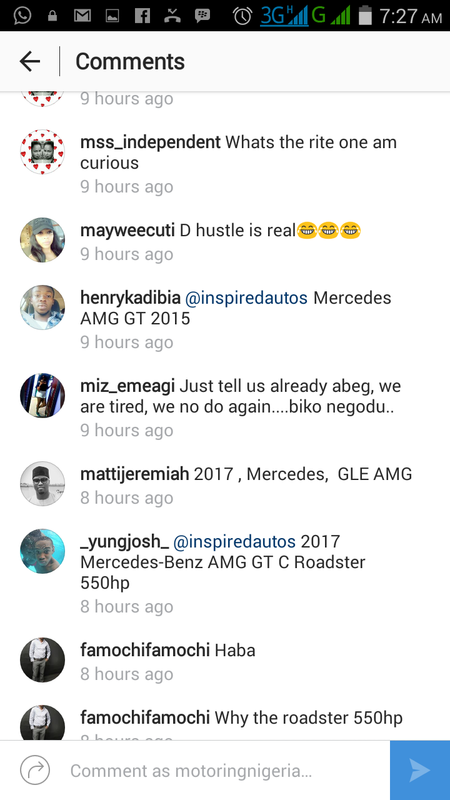 To be sure, Motoring Nigeria contacted Michael Kübler, an engine builder who handcrafts some of the Mercedes- AMG engines at the Affalterbach factory of the Mercedes- AMG in Germany and he confirmed that the picture is indeed from a Mercedes-AMG GT S, he however did not state the model year of the car. 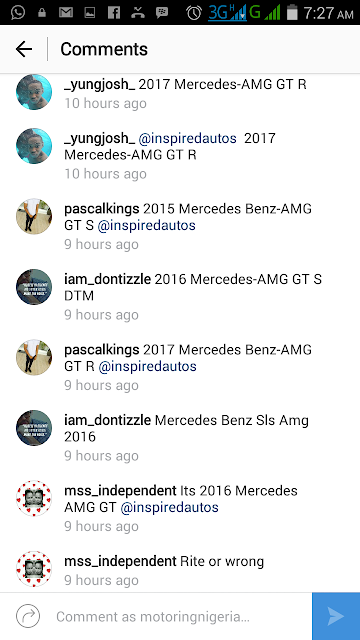 So chances are ..If you dropped Mercedes-AMG GT S in the comment section, you are close to the answer, the year however will determine if you’ll win the N100,000 cash prize...or not but even at that, there are comments spanning the possible model years of the AMG GT S. My guess: There is a already a winner somewhere there in the comment section. 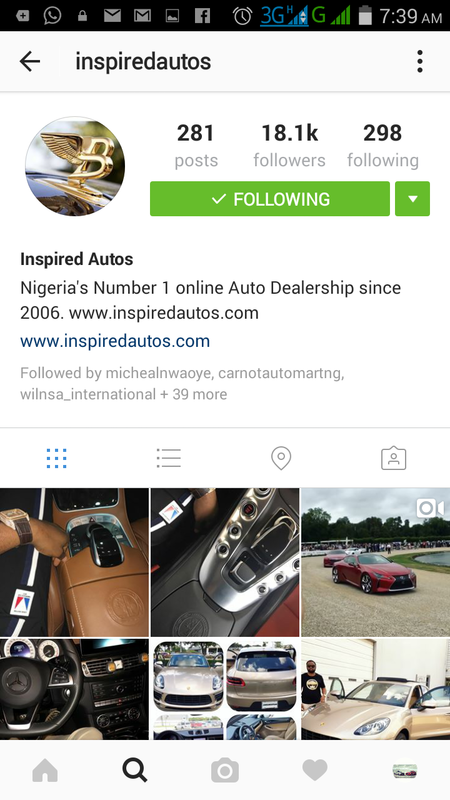 Whether “Inspiredautos” will reveal the said car and fulfill his N100,000 to a winner is something we are watching and hoping to see. While concept cars and supercars are usually the ones that steal the show at events like the Paris Motor Show, sometimes it’s the smaller and less powerful vehicles that deserve the extra attention. 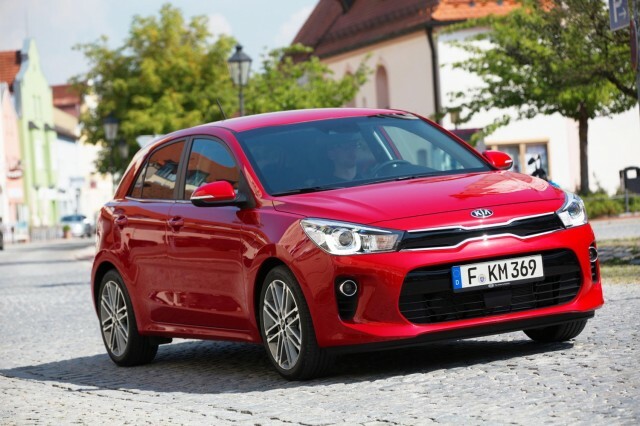 Such is the case with the fourth-generation Kia Rio, which broke cover at the French event with two first-in-class safety features. The new Rio takes the sober design of the current model and adds a smeck of aggression, it is slightly longer, lower, and wider than the outgoing model with a marginally longer wheelbase as well. 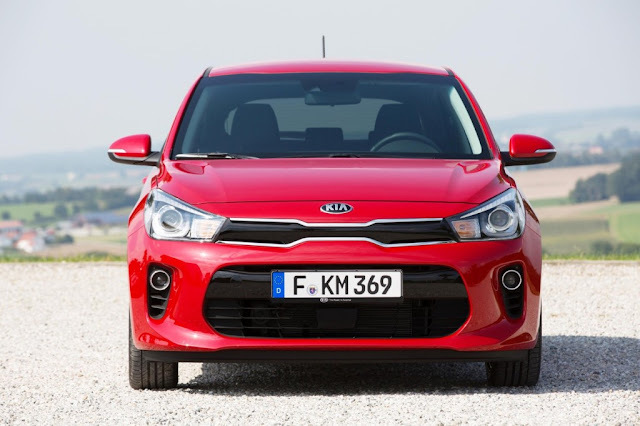 At the front is a thinner and wider version of Kia's "tiger nose" grille, and headlights that incorporate a new U-shaped LED daytime running light signature getting rid of the somewhat cheap look of the outgoing model. With the complete makeover, the Rio is entering its fourth generation this year with production slated for the end of 2016. 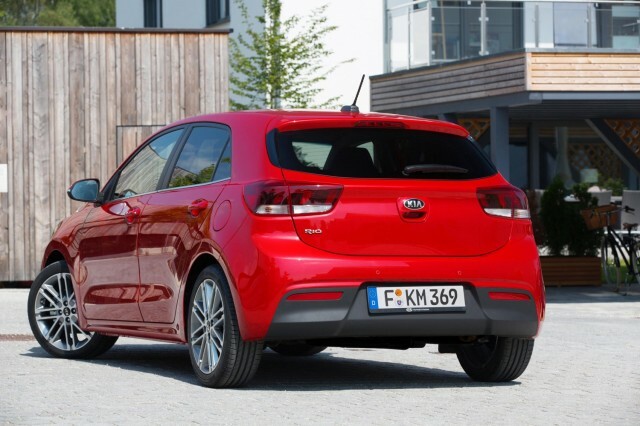 Kia tells us it has been designed in both California and Germany. 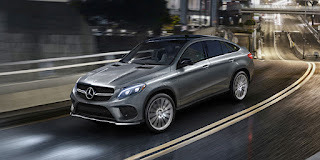 They promised lots of tech and they have fulfilled just that by making the small hatchback the first in its class to offer Autonomous Emergency Braking and Pedestrian Recognition. 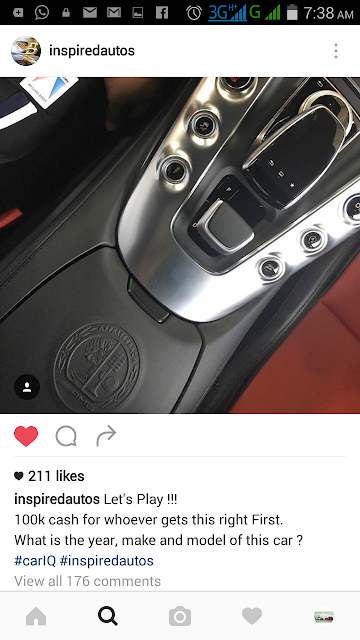 Not only that, the Rio will also come with Android Auto and Apple CarPlay Smartphone integration. Yes, the latter is already common on larger cars but the Rio is among the first to get both connectivity apps. Owners will also find a “floating”, high-resolution touch screen on the dashboard, a varied selection of upholstery colours and smoother plastic surfaces, but in an apparent case of “you can’t have it all” the hatchback still doesn’t get real leather in its more expensive models. Headlining the engine range in the new Rio is a new three-cylinder 1.0-litre turbocharged unit, which is tipped to be the best seller. It’s offered in 99bhp or 118bhp power outputs, with both engines producing the same 127lb ft of torque. Kia has yet to confirm economy or CO2 figures for the new Rio, but this engine is expected to come in below 100g/km in both power outputs. The engine’s light weight should also help improve the handling, Kia claims. Two normally aspirated four-cylinder petrol engines – an 84bhp, 90lb ft 1.25-litre and a 99bhp, 97lb ft 1.4-litre – are also offered alongside a 1.4-litre turbodiesel with either 69bhp or 89bhp. The diesel will be the most economical Rio in the range and will have CO2 emissions of less than 90g/km. Kia brought the new generation Rio in the 5-door hatchback body style in Paris; the 4-door sedan and 3-door hatchback versions should follow next year, if planned. The Korean manufacturer moved 473,000 Rios across the 6 continents last year making the Rio its biggest global seller. Whether the next gen will beat the class leading Ford Fiesta ST to its game still remains to be seen, we shall be watching. Mercedes autonomous vehicle will be built to protect occupants before pedestrians. Who needs a dog when you could have a loyal Mercedes autonomous vehicle??? Mercedes has finally answered the one question everyone has been asking which is, who will the car protect in a no-win traffic situation, occupant or pedestrians??? Mercedes chose to save the former and in their defense, better to save one than lose both. If you fall into the category of the latter and can’t afford an autonomous vehicle to save you, do not worry, Mercedes assures you that 99% of their engineering works to prevent situations like this from happening. What are your thoughts on this? Please do share with us in the comment section below. 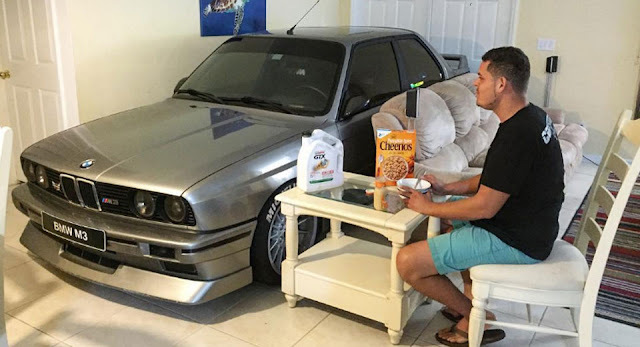 One BMW enthusiast showed just how much he loves his E30 M3 over the weekend by placing it into his living room to escape the fury of hurricane Matthew. Florida resident Randy simply opened up the large double-doors of his house and parked the M3 right in the entrance way, which was also the perfect opportunity to spend some quality time with his pride and joy. Given the desirability and value of pristine E30 M3s, we don't blame Randy for wanting to keep the car safe. Well kept examples can fetch IN EXCESS OF $100,000, which by the way is significantly more than the $64,000 starting price of a brand new M3. The one that started the M3 mythos features a naturally-aspirated 2.3-liter four-cylinder engine delivering 192 hp and 170 lb-ft, a 5-speed manual gearbox, rear wheel drive and a limited slip differential. It was once named by Automobile Magazine as one of the greatest drivers cars ever made, and is still considered by many to be the purest M3 ever.